2017 has been an exciting year in kitchen design. Dramatic splashbacks, large kitchen islands, layered colours and accent tapware defined the contemporary kitchen. From the desk of the Zesta Kitchens Design Team, here is what we can expect in 2018. We have backed this philosophy for years. It’s not often that one buys a new kitchen. Cooking, sitting down to dinner, hanging out on the island bench, entertaining family and friends is intensely personal. What better way to own it completely than to make it about you. There’s so many ways to create that one-of-kind space. A patterned tile that may remind you of your favourite place or season. 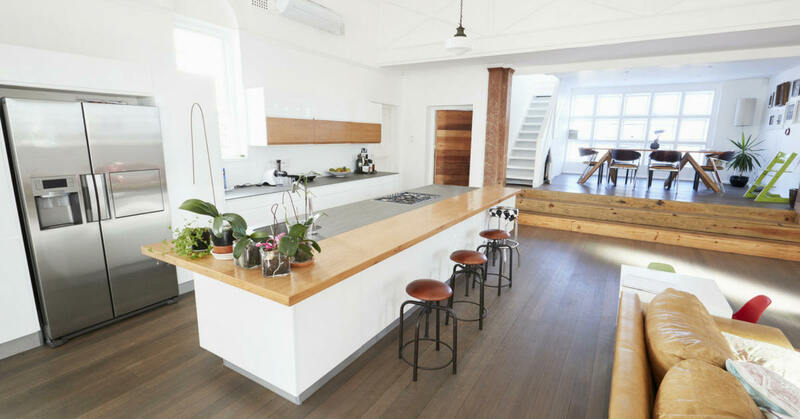 Your choice of benchtop – concrete for the cool, industrial look or timber for the warm, homely feel. White cabinets that create a pristine feeling or slate grey for the monochrome look. Each choice, accessorised appropriately can create a fabulous, very individual space. In 2017, we’ve had many customers designing unique kitchens. We are betting big on it in 2018. “We’d like an island in the kitchen” – that’s what almost every customer told us this year. Islands been around for years, but in 2017, they emerged as feature elements. Now in 2018 we will see that trend pick up pace and evolve. The rise of the island bench is all about our lifestyles. It is no longer one parent, tucked away at the back of the house cooking in an isolated kitchen. Cooking has become a family activity and is done while watching TV, paying bills online or helping kids with homework. The island bench allows the kitchen to function as this full-time, multi-functional space. As the island became important, we’ve seen the spend on the benchtop increase. More expensive material – concrete, marble, granite, reconstituted quartz and stone and hi-end designer laminates are being used on oversized islands, with unusual overhangs and statement barstools and accessories. In fact, our Cheltenham showroom’s new kitchen orders for November all had designer laminates. Our best-selling colour is white. In the last 50 years at Zesta Kitchens, we’ve seen many trends come and go. But the one that has survived them all has been the white kitchen. Firstly, it is timeless. It does not age as fast as others, especially if it has been maintained well. Giving your walls a new lick of paint, changing appliances and some hardware like handles and taps can give it a completely new look. 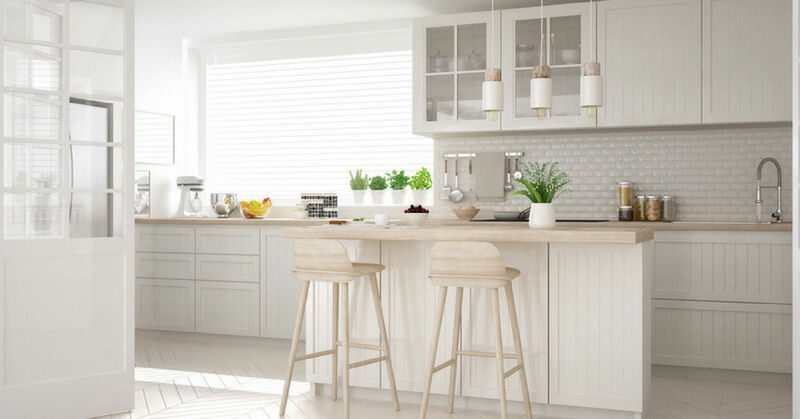 A quality white kitchen will last for decades. Secondly, white opens space. Often kitchens are confined to a small area and white reflects light, making it seem larger, reducing the need for artificial lighting. Finally- another reason it is so popular is because it works with every style – modern, Hamptons, Shaker, Scandinavian. And it is the perfect backdrop. The neutrality of white means that it does not have to be co-ordinated with what’s in the informal living areas or other transitional spaces. It also leaves the choice of benchtop and appliances wide open. Timber, concrete, marble and granite – all work wonderfully well with white. Also, it’s easy to layer white with other colours – timber or black – another popular trend. Giving white a run for its money in 2017 was black. A big shift to dark kitchens, is something we expect to keep seeing in 2018, but white will remain popular. The devil is in the detail. And our savvy customers know copper is out and brass is in. Popular for its dull gold patina, brass tapware is the perfect accessory for traditional and modern kitchens. 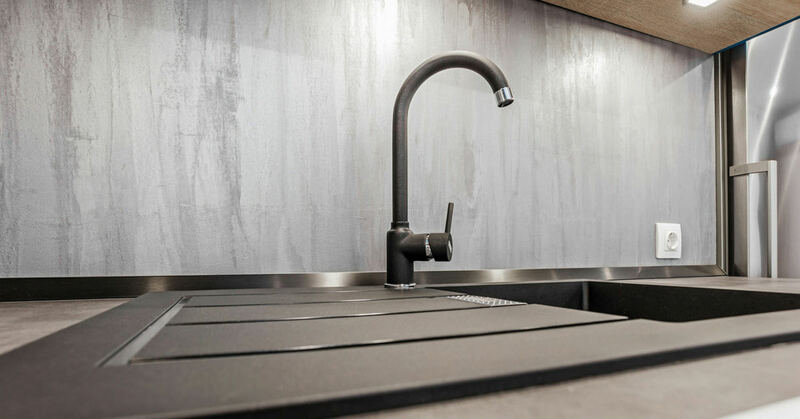 Decorative black tapware has always been popular with Hampton or Shaker styled kitchens, but in 2018, we will see brass tapware in contemporary designs used in modern kitchens. The beauty of brass is that it’s distinctive, but has enough versatility to blend with a range of colours. 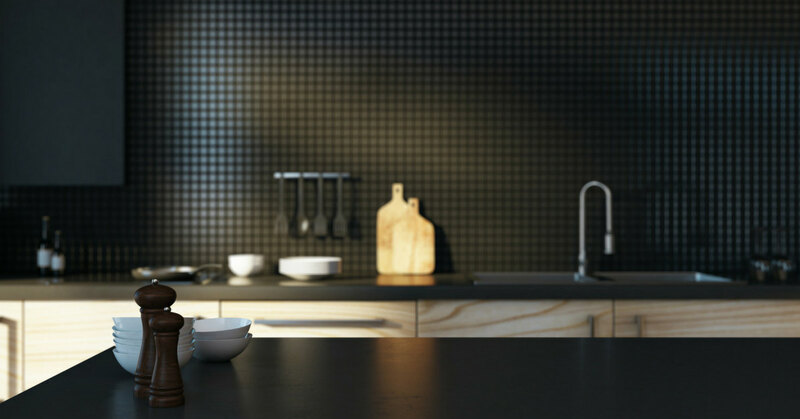 It works well with white, but is an absolute stunner in dark coloured kitchens, especially black. That pretty much sums up what kitchen organising is all about. Our customers are busy people and we’ve seen real purpose in the way they are asking for kitchens to be designed. In 2018, we expect customers to get even more demanding when it comes to storage solutions. Again, this comes from lifestyle changes – with more than one person cooking – it’s important that everyone is on the same kitchen storage plan! 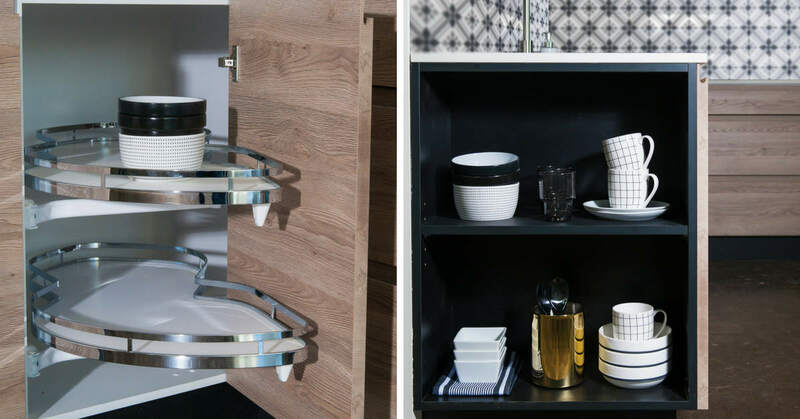 In 2018, we will see more innovative and personalised storage solutions as customers demand more efficiency from their kitchen.